Hey guys! I have returned from my little break, I'll be telling you all about how the convention went and sharing some pictures on Thursday. Today I am back with another leather tutorial brought to you by EndlessLeather. I think this is an accessory I never thought I'd get to "make." 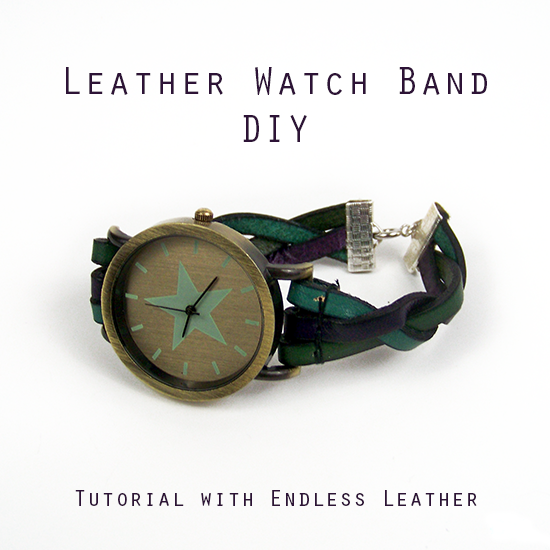 Like most everything else you can put on your body, it hard for me to find a watch I like in stores, so when I was presented the opportunity to make some leather crafts I knew this had to go on the list. Once I found the perfect face, we were good to go! Learn how to make your own below! Here's what the leather looks like from a good angle, the colors are so beautiful and there's so many to choose from on the site. Once again thank you EndlessLeather for my supplies! 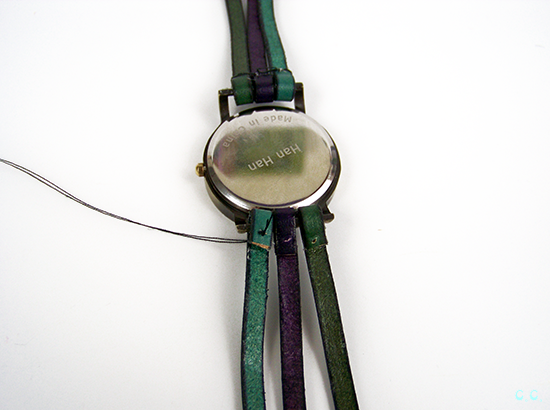 Step 2: Slide one of your straps through the open section of the watch face. 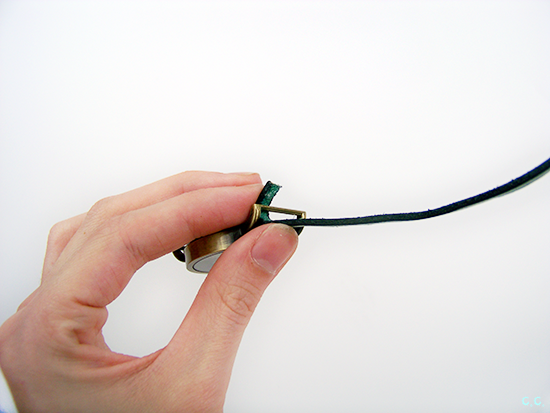 Apply a small dot of E6000 top the part of the strap that will be on the bottom. 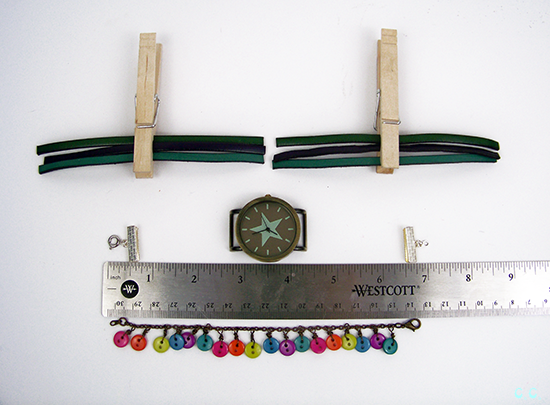 Make sure there is 1/4 an inch of leather strap that goes under the top(look at the right picture below). 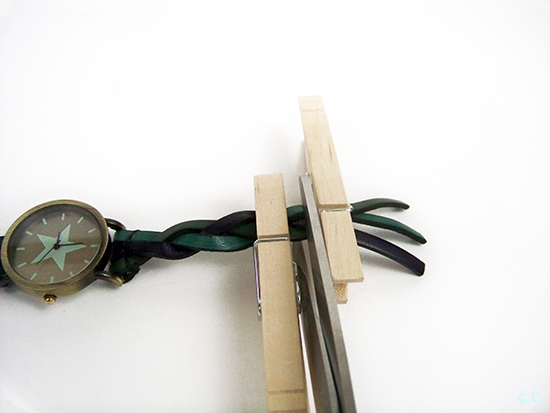 Use a clothes pin to keep the leather together. Let Dry. This is probably the most time consuming step. On one side I did it one at a time, on the other I got impatient and did them all at once. I would advise to do it one at a time unless you have something better than clothes pins to keep everything together. 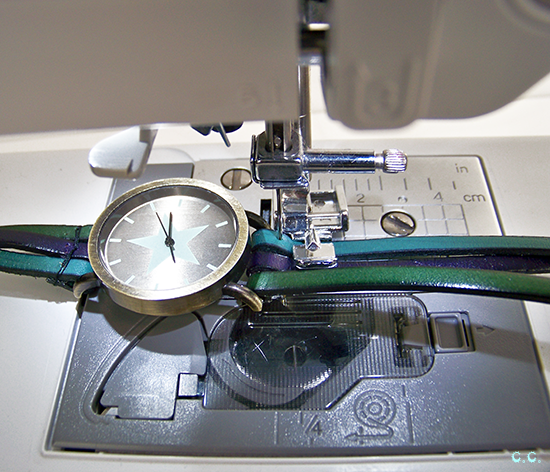 Step 3: Now we need to poke holes in the leather near the watch face so we can sew the straps together. E6000 is strong, but your watch is definitely not going to stay if that is all you use. Anyway, I just switched out my regular needle for a leather one and used my hand wheel to poke a single hole in the middle of each strap, making sure it goes through both layers. 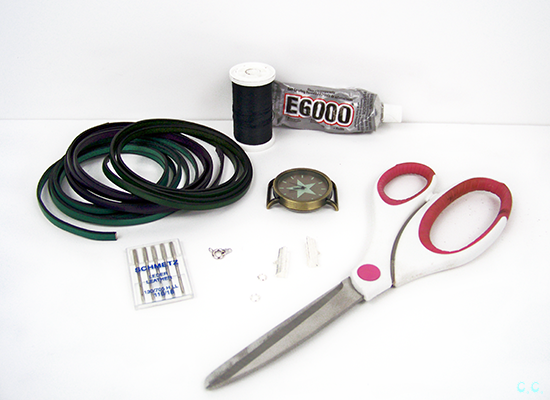 Use your thread and needle to sew your straps together. All sewn! Make sure you go over and under each strap at least once. Other than that rule I just sort of spontaneously sewed each side together. 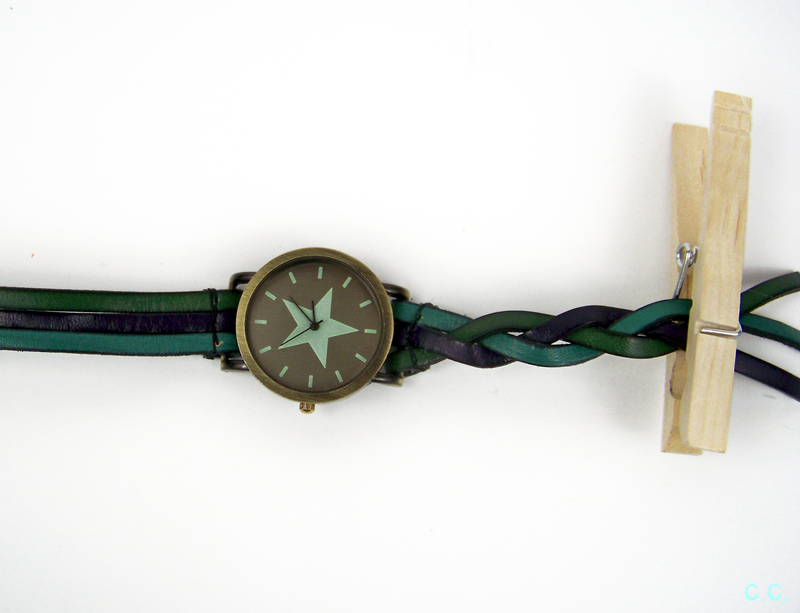 Optional Step: I chose to braid my band because I really wanted to add some texture to the watch, plus I love the colors and wanted to see them more integrated with each other than just strips of color in a row. 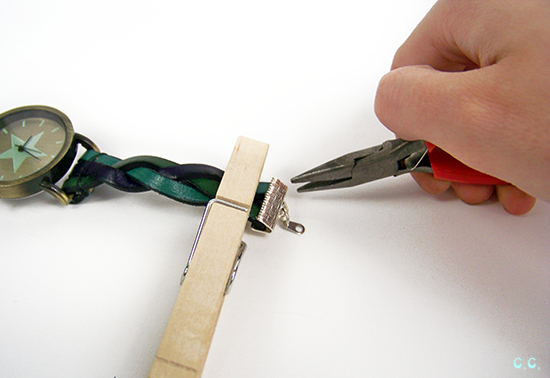 Step 4: Once you have braided as much of your strap as you need use one clothes pin to hold the braid in place right before you want to cut then place another pin on the other side of where you are going to cut. 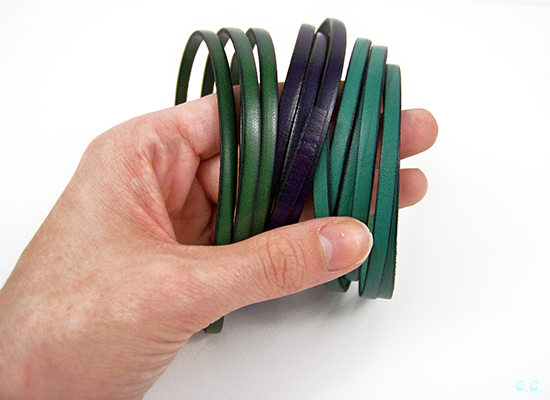 If you didn't braid your band, just make sure you cut straight across where you want the band to end. It pairs wonderfully with the leather wrap bracelet I made earlier. 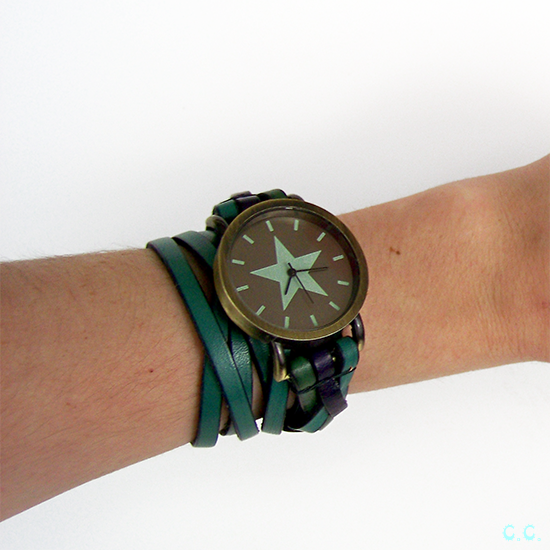 I have made one other project with my leather(link above ^) and still have one more(at least) to go! So if you enjoyed this one and or that one, make sure you comeback to see the third installment of this little mini series. 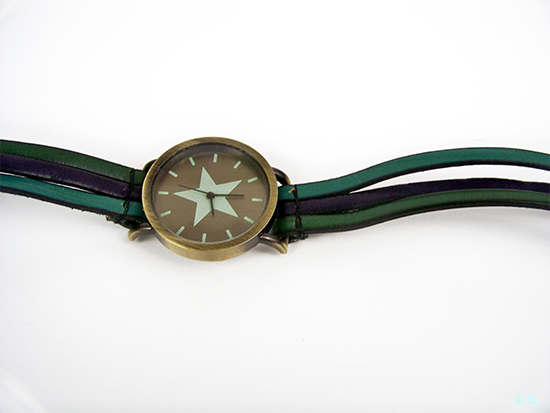 If you make your own watch band I'd love to see it! You can tag me @cwaftycreations on Instagram. Also please follow me if you haven't already! You can help fuel/enable my Insta-obsession.